Building Information Modeling (BIM) is an integrated process for exploring a project’s key physical and functional characteristics digitally prior to construction, helping to deliver projects faster and more economically, while minimizing environmental impact. Our CAD/BIM team consists of members of with 75 years of collective electrical experience and over 50 years of drafting experience. The members of this team have been using 3D CAD modeling for space management since 2007 including many projects with complex space restrictions. 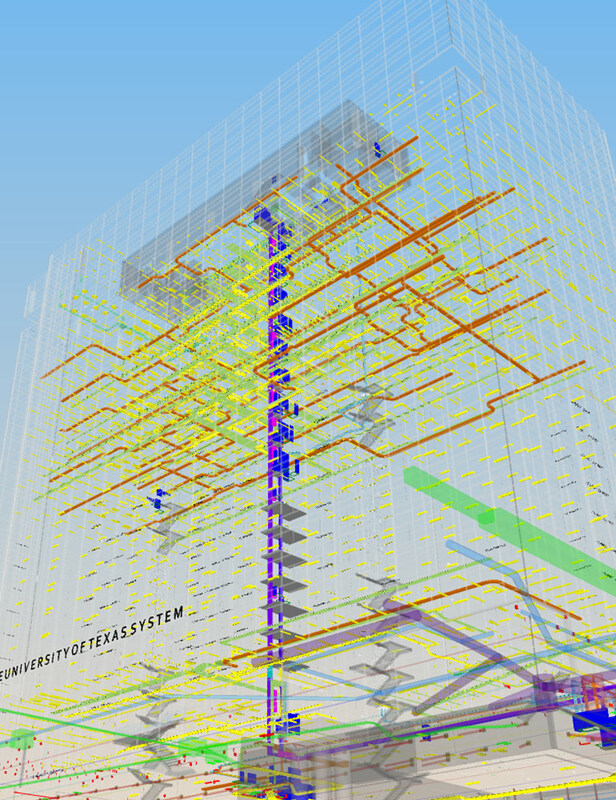 SEC’s commitment to BIM relies on the use of Autodesk building information modeling (BIM) solutions, including the latest versions of REVIT, AutoCAD® MEP and Navisworks® Manage software solutions, to collaborate with extended design teams on large-scale projects.